The Catholic University of America’s Board of Trustees announced Wednesday, January 24th a 3.9% increase in tuition for the upcoming 2018-2019 academic school year in order to accommodate university expansion. A physical letter was sent out to the parents and students’ permanent address nationwide from the university’s Office of the President, John Garvey. Currently, on-campus and off-campus tuition is $43,300, totalling $63,602 in the cost of tuition and fees. For the next school year, tuition will be $45,040, totalling $65,342 in the cost of tuition and fees. 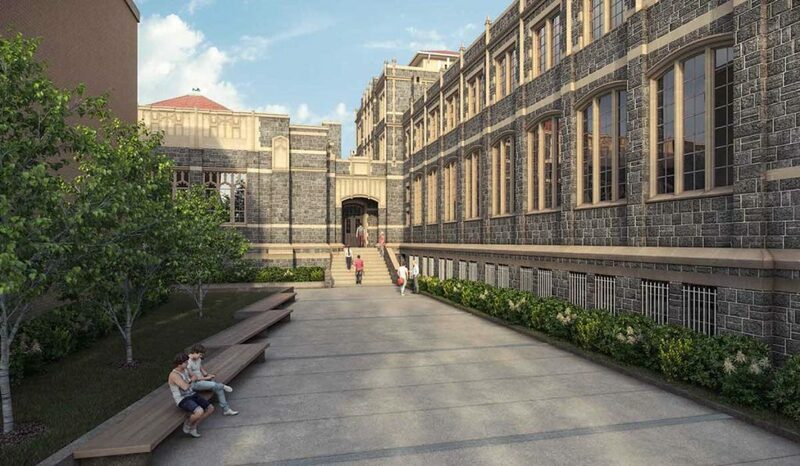 Throughout the early portions of the letter, Garvey summarizes recent investments as well as commitments towards several academic and infrastructure areas or projects. According to the letter, 17 new faculty members were hired for the schools of architecture, arts and sciences, business, engineering, nursing, philosophy, and theology. Also, the creation of certificate programs in cyber security and privacy, intelligence studies, paralegal studies, and Spanish for health professionals were noted as well as the establishment of two minors, one in actuarial sciences and another in entrepreneurship, and two 4+1 programs where students can obtain both a undergraduate and graduate degree, primarily a Master’s in secondary education. “Our planning for the next year must balance increased operating costs, our institutional goals, and our commitment to provide the best possible Catholic University experience for our students,” said Dr. Jacquelyn Malcolm, associate vice president for marketing and communications and chief marketing officer of the university’s Office of Marketing and Communications. another tuition increase will happen after the 2018-2019 academic school year. Students on campus have criticized the tuition increase, believing that it will hinder them in the long term. “Tuition increase is not fair to the student,” said junior politics major Katie Hodgdon. “I do, however, want to see exactly where the difference is going. As a student who will be majorly in debt upon graduation, this of course does not make me happy, but if I could see where the money is going in an easy to read, widely-available format, I believe a lot more people would be keen to it,” Hodgdon said. Other university students on campus have further question about the purpose of the increase. “If tuition goes up, what is the exact benefit for us and how is it going to affect financial aid?” said junior economics major Maya Bell. This is not the first time the University raised its tuition. In 2017, tuition was raised by 3.6%. However, in 2016, tuition was raised by 3.8%, making it the second highest increase in the past three academic school years. This year’s tuition hike specifically addresses the coming expansion of the university in the form of Maloney Hall’s revitalization, a new student dining hall, and added faculty and academic options for students.